Xander Foods Malaysia is a privately owned trading and distribution company. It started as a dealing company and now it is specialized in importing and trading hard to find exotic food ingredients. 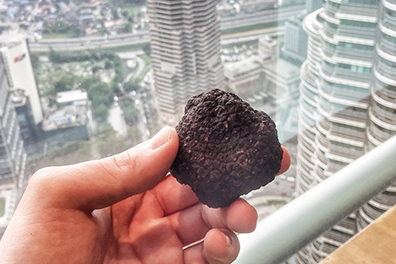 The company mainly supply fresh truffle to fine dining restaurants, Michelin stars restaurants, hotel and retailers in Malaysia. Our services included international trade where we represented certain companies and deal with distributors in Asia countries. We based on customers’ need to select the best one for them. We bring the finest products from countries such as Italy, France, Spain, Hungary, Japan, China, and Australia to your dining table. We pride ourselves on making sure the ingredients are prepared to the highest standard before selling to our customers. If you would like to get in touch with us, we have our customer service team that is available to help you.